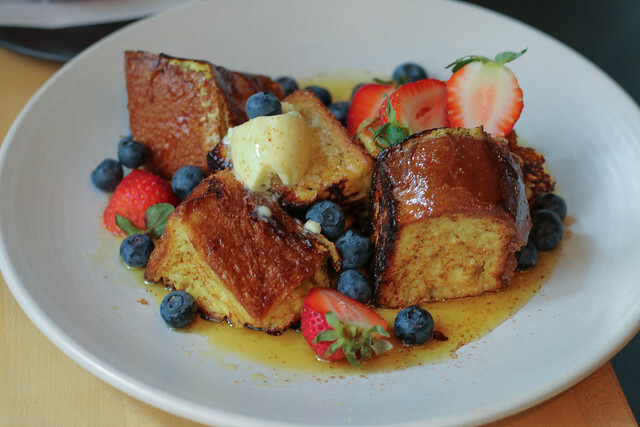 We were so impressed with the dining scene in Portland it’s hard to know where to begin (but then I remember to begin with brunch). Portland packs in more than 500 restaurants—making it the second highest number per capita of any U.S. city. 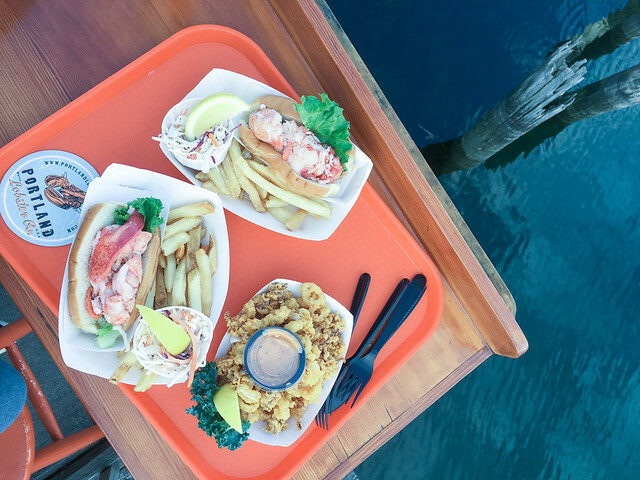 It offers something for every style of dining: delicious, hearty brunch spots, coffee shops and roasteries, dozens of lobster joints and seafood shacks, as well as delicious, casual foods like burgers, doughnuts, and ice creams. For the sophisticated diner, there are also pristine farm-to-table restaurants with excellent wine lists and impeccable service—like Union Restaurant and Street & Co—for a dinner experience. Here are our must-visits. The breakfast at Hot Suppa was absolutely insane—there’s a line out the door at this popular spot, even on a weekday. With multicolored art on the walls and cozy diner vibes, Hot Suppa serves hearty, Southern fare with a New England twist. 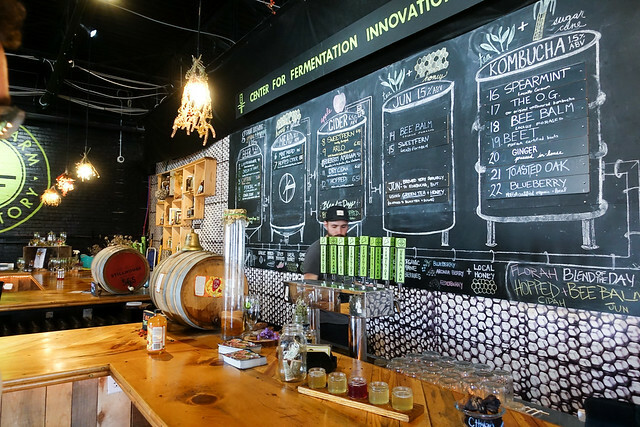 The fried chicken with biscuits and sausage gravy and the corned beef hash are must-order dishes, and the coffee and beer options, like most places in Portland, can’t be missed. Hot Suppa, 703 Congress St, Portland, ME. 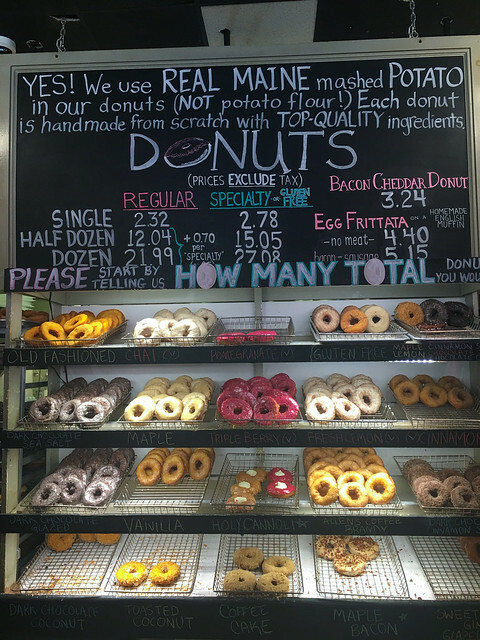 People rave about the doughnuts at Holy Donut, which are made with fresh mashed Maine potatoes. Yes, potatoes, which are meant to give them a moist, especially fluffy texture. It did. While these doughnuts are not “the best ever”—that award goes to the doughnuts in Martha’s Vineyard—they’re worth a visit. Order the signature chocolate sea salt. Holy Donut, 7 Exchange Street, Portland, ME. You absolutely cannot visit Portland, Maine, without going to Tandem Coffee for a biscuit. The adorable coffee roastery & bakery is built in an old gas station, and offers plenty of seating, both outside on the picnic tables and inside if you’d like to work or read. (Note: there is no wifi). Tandem’s roasted beans are great, but the pastries are the reason. The pastry case displays loaded house-made biscuits with jam and lemon curd, and the largest cinnamon rolls I’ve ever seen. We went for the signature breakfast sandwiches, which aren’t on the menu and sell out each day. Brianna, the baker, makes their perfect biscuits every night in small batches, and they’re the perfect mix of sweet, salty, fluffy, and dense—and impossibly buttery. The breakfast sandwich is a dense combination of melted white cheddar, mayonnaise, ham, egg, and biscuit. “This might be the best thing I’ve ever had,” I said between bites. I maintain that it might be. Tandem Coffee (Bakery), 742 Congress St., Portland, ME. 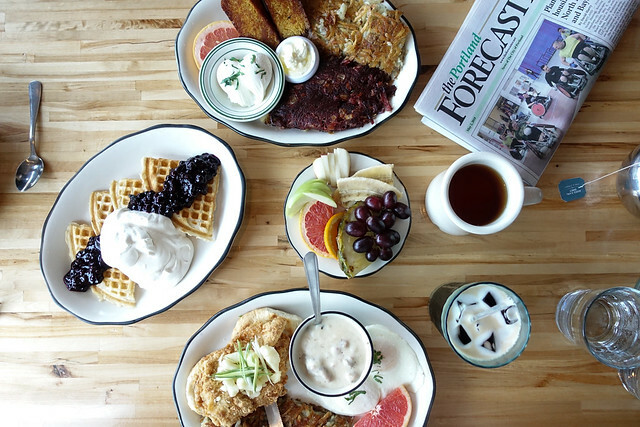 Located on the Easter Promenade, the Front Room is a casual, no frills joint that serves a hearty breakfast in a cozy, cottage-style environment. 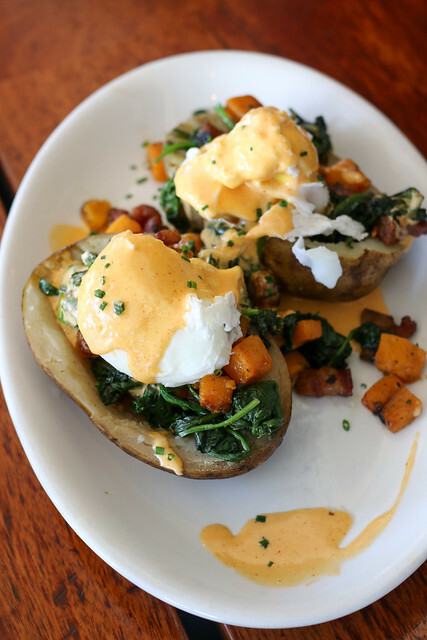 We particularly enjoyed the Benedicts and the butternut squash Eggs Benny served in a potato skin. The service, however, could have been better. The Front Room, 73 Congress St, Portland, ME. 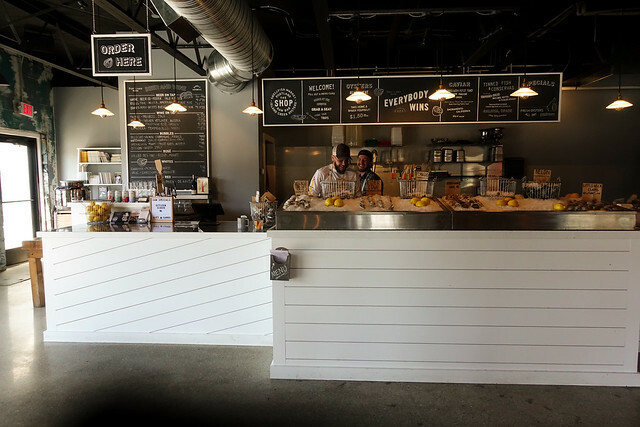 The shop is a laid back, no frills spot dedicated to oysters—with plenty of well-informed shuckers, books on oysters, and assorted paraphernalia, including a “Take Me Home & Shuck Me” shirt that I very much wanted to own. Built in a white, warehouse style building the space is unassuming yet charming, with expansive patio seating. It’s a must-visit for oyster aficionados and a great stop for a mid-afternoon glass of rosé and dozen oysters on the porch. The Shop, 123 Washington Ave., Portland, Maine. Eventide Oyster is a charming blue restaurant that’s simultaneously cozy and chic. We entered the dimly lit restaurant, which is decorated in an elevated coastal aesthetic, and were greeted by friendly, unassuming folk and immediately taken with the charming vibes of this restaurant. The oysters were incredible, and there’s an expansive menu of shooters, cocktails, wines, and beers. 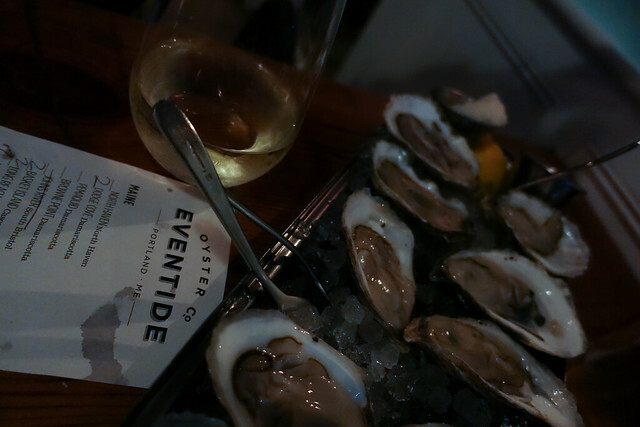 Eventide Oyster, 86 Middle St, Portland, ME. Fore Street is considered the best restaurant in Portland, and it was recommended to us by multiple people. Put it on your list, and make reservations. We didn’t make it there—but we visited sister restaurant, Street & Co., see below. Fore Street, 288 Fore St, Portland, ME. Street & Co is a gorgeous elevated, organic, and dimly lit restaurant serving incredible pastas and seafood from its open kitchen. The service was impeccable, the wine list well selected, and the food divine—order the lobster and any of the pastas. Don’t forget to save room for the house-made pies. Street & Co., 33 Wharf St, Portland, ME. 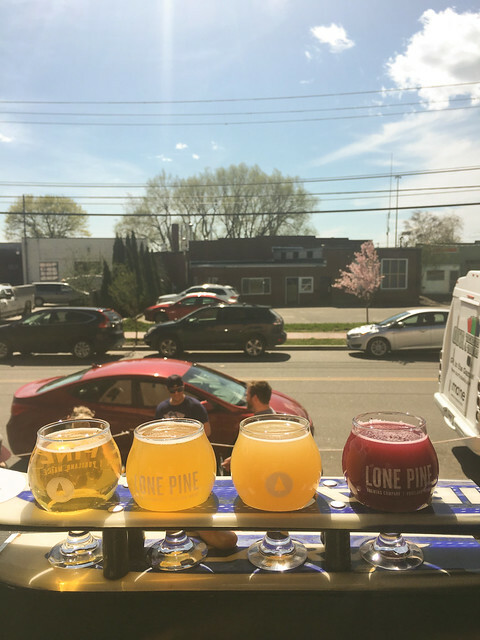 Portland is packed with breweries, and it’s a great way to enjoy the warm weather come spring time.